a satin or high polish finish. Beautiful, traditional, finely crafted Altar Candelabra. Available with 3, 5 or 7 lites. 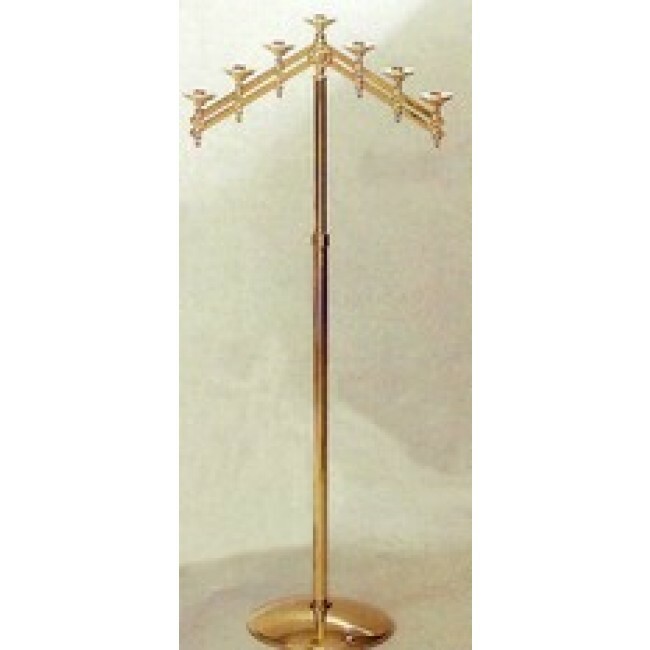 This altar candelabra comes in either bronze or brass with a satin or high polish finish, please specify metal and finish when ordering. This elegant altar candelabra has adjustable arms and height from 36" to 58" with 12" base.